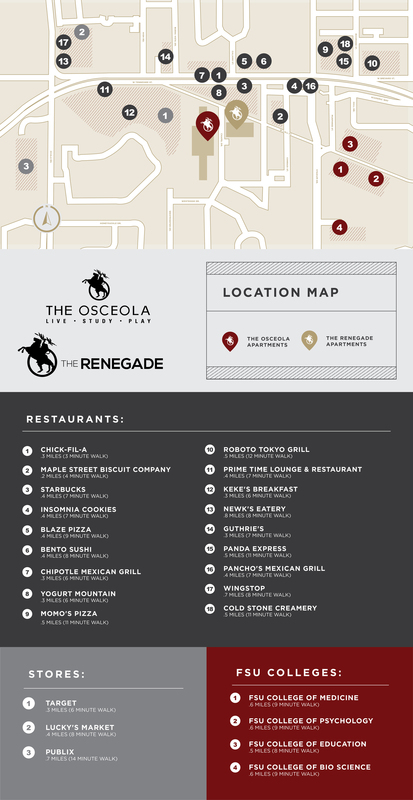 The Osceola Apartments is only 300 steps from Florida State University's campus and that's not all. Within walking distance to this premier apartment community you will find a pharmacy, bookstore, restaurants and of course Doak Campbell stadium. Come and see us and you will find that this is one of the top apartment communities in Tallahassee Florida. Pet Friendly Starting August 2018. Contact the office for more details.